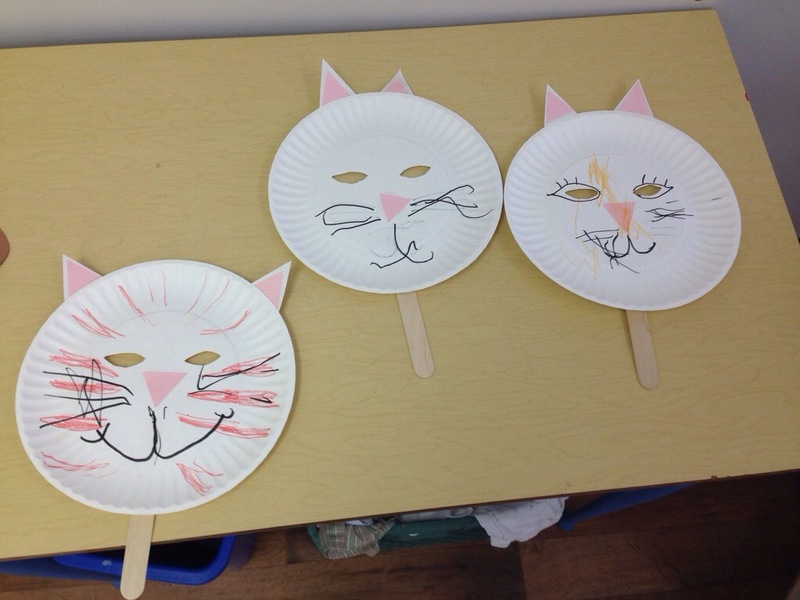 This week our theme at playroom was cats. 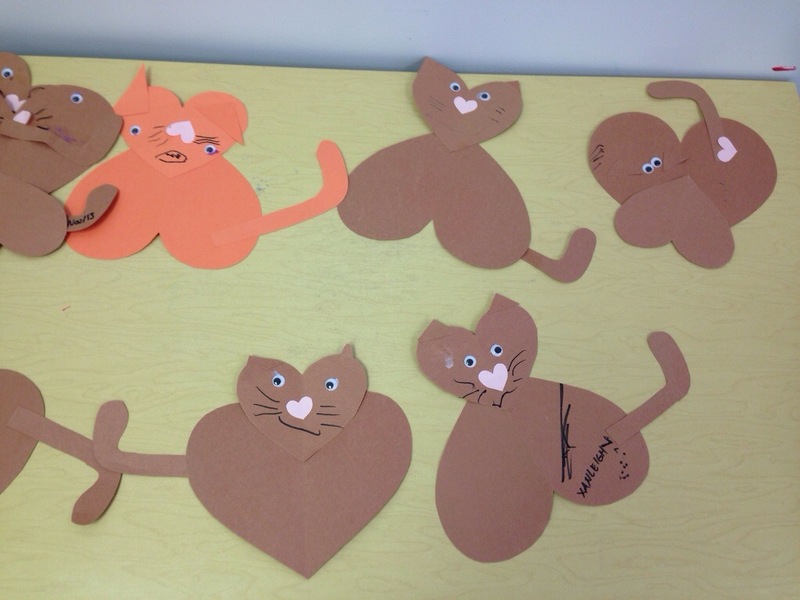 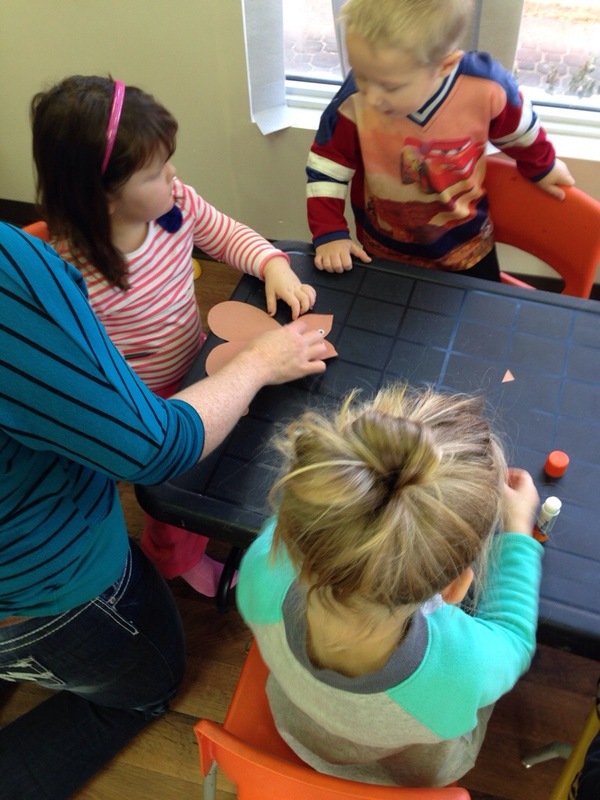 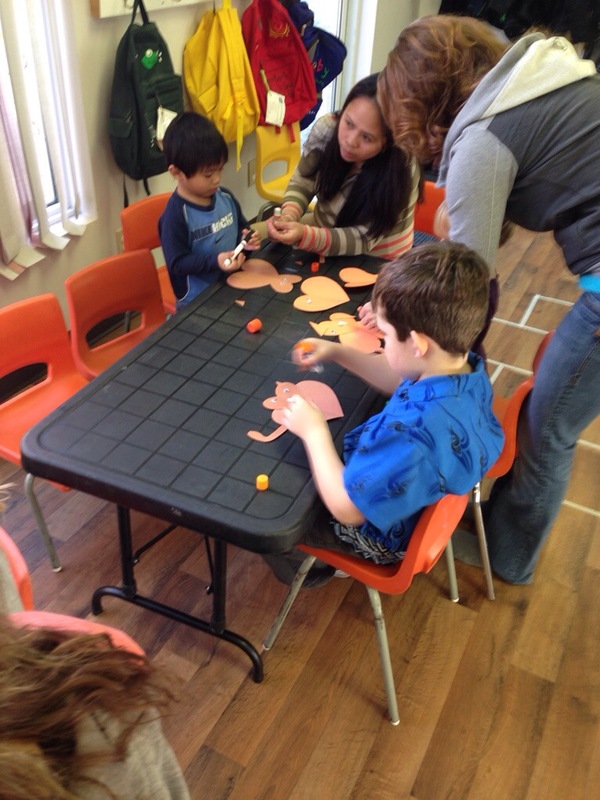 We made some cats out of heart shaped construction paper as well as cat masks out of paper plates. 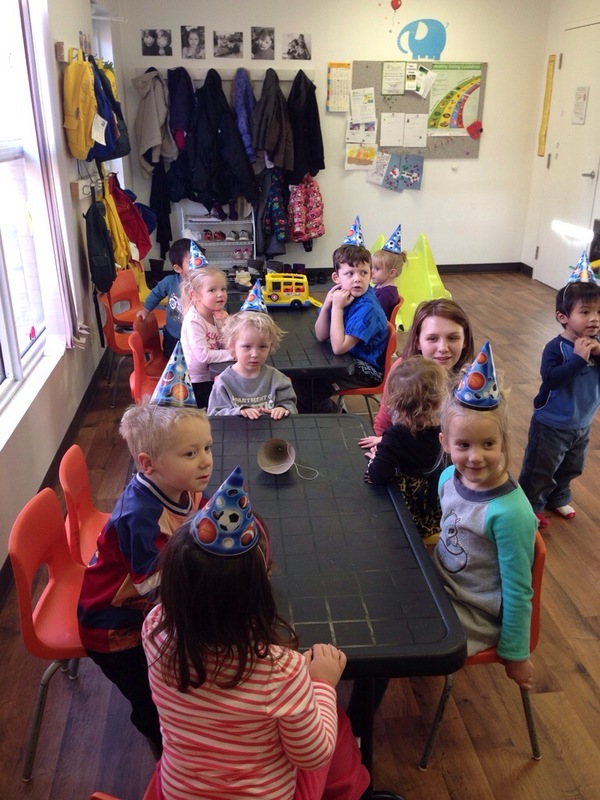 We were also lucky enough to have some birthday cake and ice cream on Tuesday. 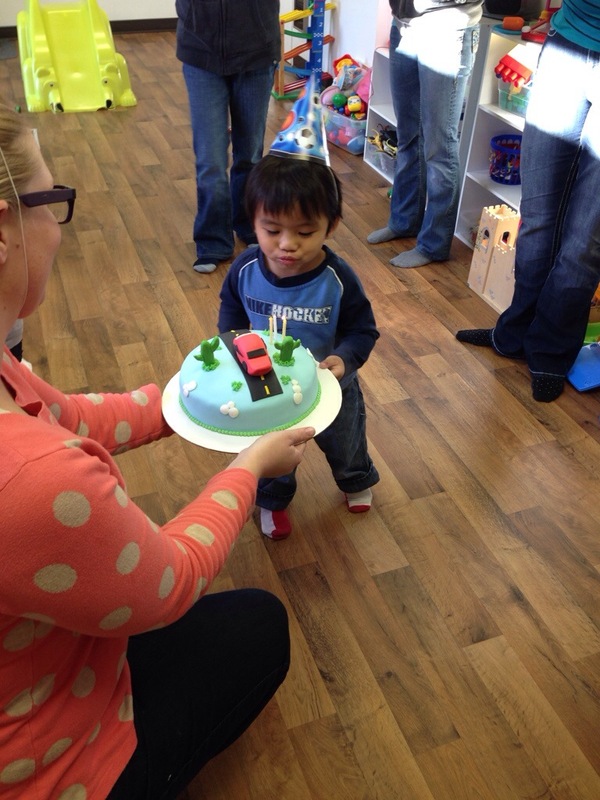 Thanks to the little guy and his family for allowing us to help celebrate his birthday with him. 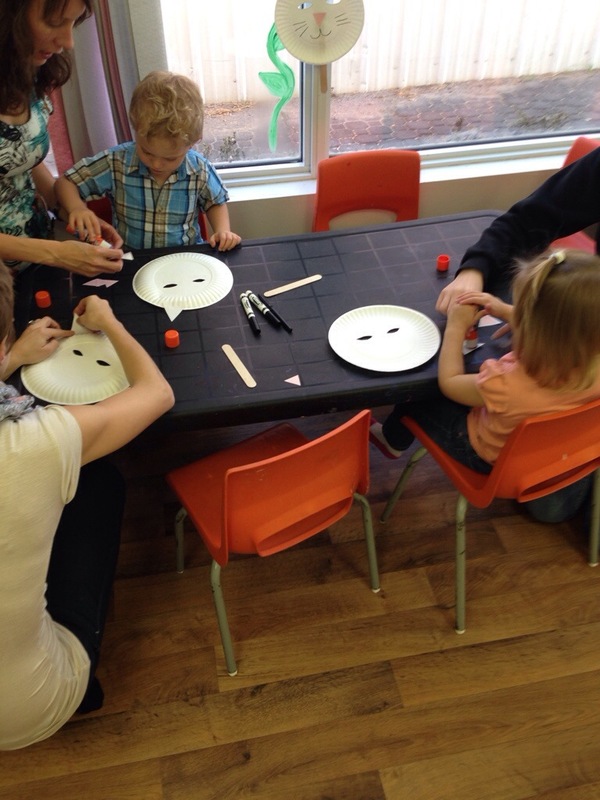 The kids really enjoyed it.